Ivan and the Immortal King is a new online slot game that allows you to grab the king’s riches if you are strong enough to unravel the chest and break the needle. 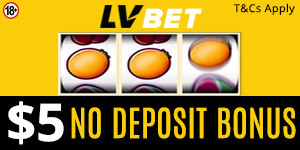 It features 5 reels, 3 rows, 20 betlines, and an incredible payout rate of 96.29%. Casumo Casino gives you the opportunity to play this slot game and win massive prizes. Read on to find out what this slot has in store for you. The slot’s top features include the Koschei Free Spins feature, the Free Spins Progression feature, scatter symbols, and the Baba Yaga Surprise feature. If Baba Yaga appears on the reals, she’ll remove four random symbols or grant you a scatter that takes you to the Extra Spins game. Here, you’ll find a ladder with six multipliers. You need three progress scatters to trigger the subsequent multiplier. Each multiplier level will grant you four Extra Spins and a higher multiplier. When the Free Spins Feature is activated, you’ll receive 30 Extra Spins and enjoy a 20x multiplier! We all love Reel Races and that’s why Casumo Casino will host Reel Races this December with prizes ranging from 2,000 to 5,000 euros. You only need to create a Casumo account to participate in the Ivan and the Immortal King Reel Races. When you take part in Casumo’s year-long tournaments, you play against other players. If you manage to beat other players, you’ll scoop huge prizes. To play Ivan and the Immortal King, click here to sign up or log in if you have a Casumo account.